Let’s have some bright and happy nails from a cheap and cheerful brand this week! This is from the German brand, Essence. You’ve heard about Essence before from that Nail Art Stampy Set that I got earlier. This is Multi Dimension 3 in 1 nail polish in shade No. 44, Object of Desire. It’s an attention-seeking flamingo pinky coral colour with a hint of gloss. It says on the bottle “with XXXL shine”. I see some shine, but I think triple-XL is an exaggeration. Application was problem-free. Imperfect strokes? They’ll disappear. Pictured here is with two coats, taken indoors in daylight. Not bad for a nail polish that cost less than €2! I believe this colour has been discontinued as I don’t see it in the stores anymore and neither is it on the Essence website. 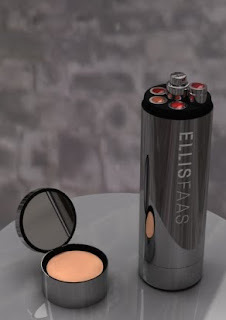 This is the Ellis Holder that was specially designed to hold the Ellis Faas pens. Last week, this cool canister earned Ellis Faas an Astir Award for 2009. Every year, The Association of Beauty Journalists in The Netherlands holds an Astir Awards ceremony to honour the best beauty products of the year. The winners are chosen by a panel consisting of 47 Dutch beauty journalists. The awards are divided into two categories, the Luxury Segment and the Mass Market Segment but for the first time this year, there was an Astir Award for the best cosmetics launch in a specially created category: the Niche Segment, for exclusive products that are available only at the most selective stores. It was this Astir Award in the Niche Segment that the Ellis Holder (right, image owned by Ellis Faas) won. Congratulations! It’s not many to play around with but there are enough combination possibilities. Remember, quick fingerwork for blending is necessary. This is a slightly smokey look with the rust-coloured E207 all over the lid and the dark brown E104 blended in on the outer corner for depth. I used the half-dried shadow of E104 to line the eyes (the lining of the lower lash line is more noticeable in the photos). Here, the E207 gives the lid an all-over rust orange colour and the black E103 is used as an eyeliner. I have two looks here with some subtle differences. I couldn’t decide which one to show, so here are both. (a) The rust-coloured E207 has been layered on on the outer corner. With a clean finger, I quickly ‘pulled’ a little bit of colour over to the inner corner. The end effect is a tinge of colouring on the inner corner and the colour gradually intensifying towards the outer corner. The eyelining for this look is perhaps different from the norm. The black of E103 here is bold and thick. It begins at the inner 2/3 section of the lid and gradually thickens towards the outer corner. The end is stumpy but it ends precisely where my eyelid fold ends on the outer corner. This gives the eye a different kind of depth. Since I haven’t got deep-set eyes, this ‘weird’ eyelining is hardly noticeable when my eyes are fully open. You will only see it as the eyelid starts to close. (b) This second variation is similar but I’ve used a lighter hand with the rust colouring. The eyelining is more even, less bold and is wing-ed ever so slightly. This is an amalgamation of Combinations No. 1 and No. 2. The brown of E104 on the outer corner, followed by the rust-coloured E207 for the rest of the eyelid. The black of E103 is again used to line the eyes. The end is wing-ed for this one. • Maybelline Volum' Express Turbo Boost (waterproof) mascara. That's it for now. If I come up with any other inspirations with these colours, I’ll be sure to share them with you again. This tea box isn’t a name given to a makeup palette, so this isn’t going to be a post about a beauty product per se. I just wanted to share with you this tea box that we bought recently from Rituals. If you’ve never heard of Rituals, it’s a Dutch brand offering a whole plethora of products for the home and the body. This is how they’ve described themselves: The first brand in the world to combine Home & Body cosmetics. Inspiring products for the care of your body and home. And they mean it! At Rituals, you can find body lotions, scented candles, makeup, bathrobes, facial cleansers and even dishwashing liquids and tea. I wrote about Rituals many moons ago and sadly, I’ve been neglecting this brand on my blog since then. It’s time to put that right but funnily enough, I’m kickstarting it with a post about its tea box, of all things! We bought another tea box for my mother-in-law and look at how nicely it’s been wrapped by Rituals. Opening the box each time is a delight for the senses as the air fills with a potpourri of aroma from the different teas. I can’t decide which of the teas is my favourite but I would admit that I find the full-bodied Emperor’s Dream to be the least pleasing. Come, have a cuppa with me! It's Jasmine Delight. More information can be found on my old posts about Rituals Cosmetics, my review on the Rituals Hammam body care range and the Rituals website. Having spent the past months writing about beauty and makeup products to which I have access here, I thought it would be good to put things into perspective for you with a series on Beauty Shopping in the Netherlands. Well, you never know when you might swing by this country and when you do, you just might find this series useful. To my fellow Dutch readers, you would probably find this series boring as this is like me talking about what’s in your backyard. However, if you do read this, feel free to chip in if I’ve missed out anything here as these are just the stores that I am aware of. I will start off this series with the budget-friendly category: The Drugstores. With more than 700 stores, this is by far the most commonly found drugstore in the Netherlands. It owes its Dutch roots to the de Rijcke family which started this chain in the 1970s. However, it is now owned by the health and beauty retail giant, A.S. Watson Group, which falls under the umbrella of the Hong Kong-based multinational conglomerate, Hutchison Whampoa. Some of you may recognise those names, of course, as the group has a wide retail presence in many countries all over the world. And that includes Superdrug in the UK too. A Kruidvat shopping experience would vary from store to store. Presentation is average at best, but it can also be messy in some stores. By that, I mean having to squeeze between cardboard boxes in the aisles and tolerating eyesores like untidy product presentation. To be fair, in the past year, Kruidvat has been working hard at improving its image with a rollout of a new ‘store formula’ complete with a new logo. I have noticed a slight improvement. Customer service is my other gripe. In general, it’s tolerable but I’ve come across sloppy staff who were less than polite and those who were simply clueless about the store’s product offering! Yes, I’ve been left dumbfounded before by their responses. Personnel training, Kruidvat, personnel training! Still, we overlook all that and continue to frequent our beloved Kruidvats as there are often great deals to be had. 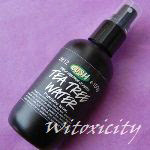 Moreover, it has its own house-brand range of body care products. Women visit Kruidvat to get their beauty care products from brands too many to name (but they are the usual suspects), fragrances, makeup from Maybelline, L'Oréal, Rimmel London, Max Factor and nail care products from Sally Hansen and Herôme to name a few. There are also makeup products from several European brands that are easy on the budget like Essence, Catrice, Manhattan, 2b and 2true. Most importantly, Kruidvat is the only place to go to for GOSH makeup! However, beware. Not every Kruidvat stocks all the makeup brands mentioned. Only the larger stores would have the full range of brands. Kruidvat also has a retail presence in Belgium. Etos has its beginnings in 1918 when the employees of electronics giant Philips established a co-operative with a grocery and drugstore. Over the decades, the drugstore division evolved into the Etos that we know now. With 500 stores currently, Etos is the second most common drugstore you will find in the Netherlands. Etos retains its Dutch-ness to this day and is now owned by the Ahold Group which also runs the Albert Heijn supermarket chain in the Netherlands. I love shopping at Etos. Though standards may vary, the interior of Etos stores are in general more spacious and have a neat and tidy presentation. Shopping at Etos promises a pleasant experience. One can certainly notice that Etos invests a lot in their staff as they are not only better dressed but customer service there is of a high standard. 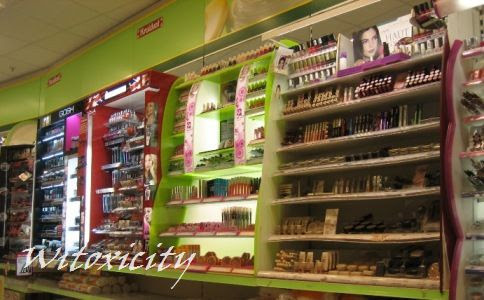 Just like at Kruidvat, you can also buy at Etos all sorts of beauty care products and fragrances and makeup from Maybelline, L'Oréal, Max Factor, Rimmel London and nail care products from Sally Hansen and Herôme. However, Etos also sells Bourjois, Revlon, Miss Sporty, Collistar and nail polishes from Herôme (although brand offering varies from store to store). Most noteworthy is the body care and makeup range from its house brand. The Etos makeup brand offering covers the whole range from foundations to lipsticks and nail polishes. These are decent makeup products at decent prices. One such product that I reviewed recently was this makeup kit. This is a much smaller player on the market as there are only about 130 Trekpleister stores in the country. They are mostly found in the suburbs targeted as neighbourhood drugstores. Trekpleister is actually a sister store of Kruidvat as it is also owned by A.S. Watson Group. Owing to this connection, the standards of the Trekpleister stores are about the same as those of Kruidvat. Here, you will find some of the common beauty care products and drugstore makeup brands plus one of two of the budget-friendly European brands mentioned above. This name needs no introduction, I’m sure, especially to those in the UK. Boots made a foray into the Netherlands in the late 1990s but eventually pulled out of the market when the management realised that its retail format which included pharmacy did not fit the local consumer market then. During its absence, its house brands like No7 and Botanics found a home in Etos. Well, Boots made a cautious return to our shores last year and to-date, has opened five stores. The retail format has been retained, which means that not only its house-brand body care products and No7 makeup products are available, but it’s also a pharmacy as well, just like in the UK.